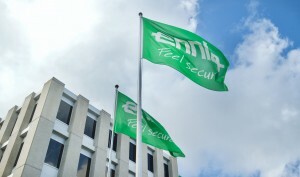 WILLEMSTAD - The Public Prosecutor's Office (OM) is distancing itself from a press release in which insurance company ENNIA Caribe NV announces the reason for the search that was held in their offices on Tuesday, October 24, 2017. The Public Prosecutor confirms that the Judge has conducted a search in the office of ENNIA Caribe Holding NV in the presence of the Public Prosecutor. The search was held in the context of a criminal investigation conducted by the Criminal Investigation Team (TBO) in which ENNIA Caribe Holding N.V. is not considered suspicious. During the search, documents, computers and digital data have been seized. No arrests have been made. OM has no further announcements on this case.